Egyptian photojournalist Mahmoud Abu Zeid, known as Shawkan, has been selected by an independent international jury of media professionals as the laureate of the 2018 UNESCO/Guillermo Cano Press Freedom Prize. 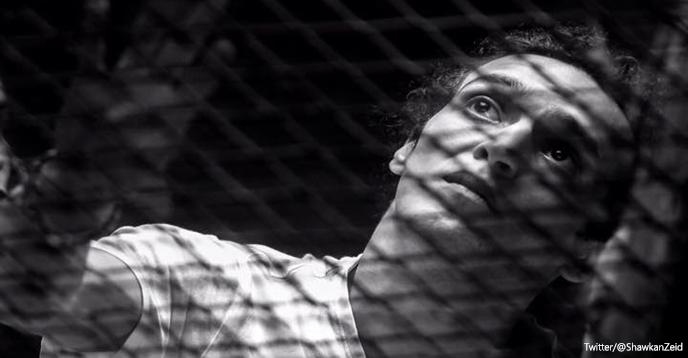 Shawkan, a photojournalist, has been in jail since 14 August 2013 when he was arrested while covering a demonstration at Rabaa Al-Adawiya Square in Cairo. In early 2017, the prosecutor in his case reportedly called for the death penalty. The UN Working Group on Arbitrary Detentions has qualified his arrest and detention as arbitrary and contrary to the rights and freedoms guaranteed by the Universal Declaration of Human Rights and the International Covenant on Civil and Political Rights. “The choice of Mahmoud Abu Zeid pays tribute to his courage, resistance and commitment to freedom of expression,” said Maria Ressa, President of the Jury. The Prize will be awarded on 2 May on the occasion of World Press Freedom Day, celebrated in Ghana this year and whose theme is Keeping Power in Check: Media, Justice and The Rule of Law. The Prize recognizes a person, organization or institution that has made an outstanding contribution to the defence or promotion of press freedom especially in the face of danger. It is named in honour of Guillermo Cano Isaza, the Colombian journalist who was assassinated in front of the offices of his newspaper El Espectador in Bogotá, Colombia, on 17 December 1986. Laureates of the UNESCO/Guillermo Cano Prize receive $25,000. The Prize is funded by the Guillermo Cano Isaza Foundation (Colombia), the Helsingin Sanomat Foundation (Finland), and The Namibia Media Trust.